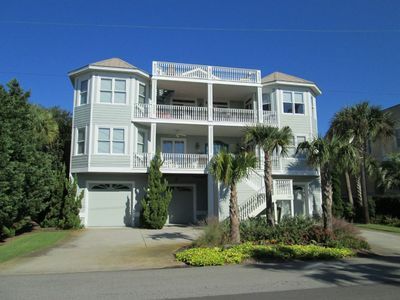 Palmetto Beach House - Plenty of Room for Your Family Gathering! 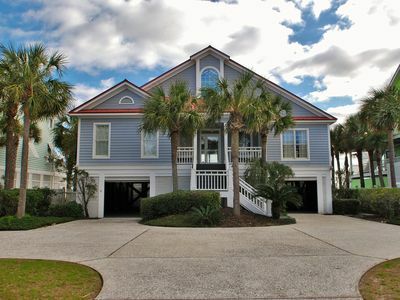 The Palmetto Beach House vacation rental on Isle of Palms is the perfect house for your family getaway! 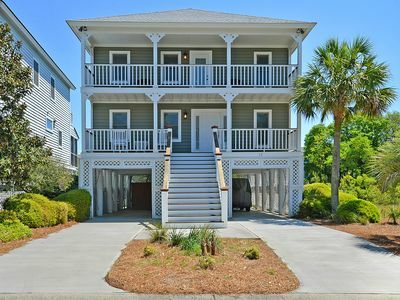 There is ample room for everyone and there are plenty of things to do in this tastefully decorated, reverse floor plan house located directly across the street from the beautiful Isle of Palms beach. 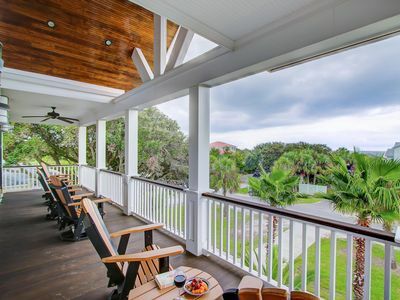 Sit on one of the front porches and enjoy the ocean view. Take a swim in the full size heated* pool. 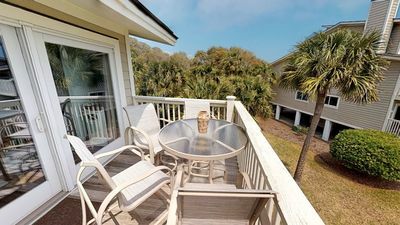 Cook in the gourmet, fully equipped kitchen (two refrigerators and double ovens) or grill out on the deck. 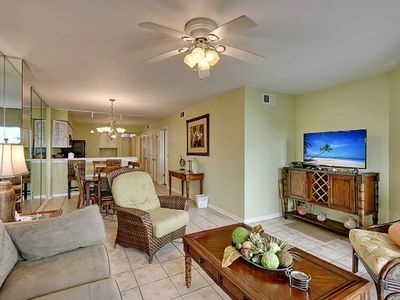 Play a game or watch TV in the game room directly off the pool. Enjoy a good book or a movie in the great room off the kitchen. 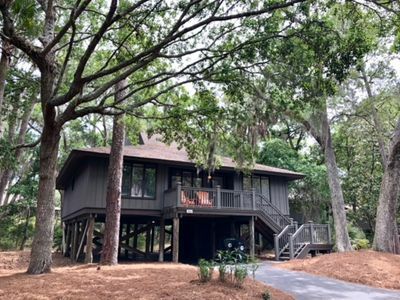 This house is approximately 4000 square foot, has 6 bedrooms, two living areas, hardwood floors, fireplace, an elevator and a large private heated* pool. 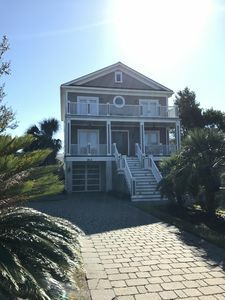 There is 800 additional square feet of outdoor decks with an ocean view from the front porches. Lower level: There is a Jack and Jill bath with two attached bedrooms one containing two twin extra long beds and the other with two sets of bunk beds with extra long mattresses. Next, is a large King suite with direct pool access and a private bath room with a shower. In the front of the house is a bedroom with a queen bed and a full private bath with a tub/shower. The game room is equipped with a flat screen TV, blue ray player, Wii, wet bar, mini frig, ice machine and plenty of games and DVD’s. There is also a laundry room. 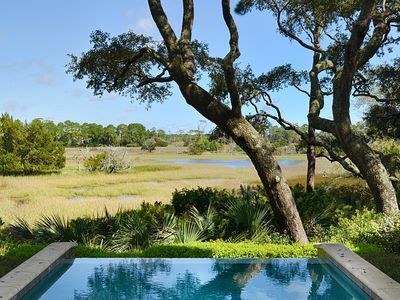 The pool is on this level and a half bath is located just off the pool. The outdoor shower is perfect for washing off sand after a day at the beach! 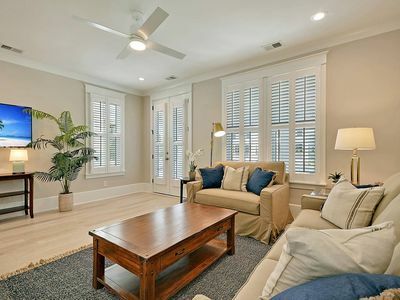 Upper level: Climb the stairs or take the elevator to the second floor where you will find a large, open kitchen with stainless appliances, including two refrigerators, double ovens granite counter tops. 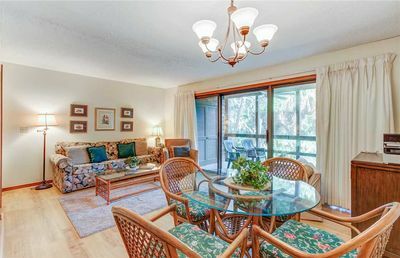 The adjoining living room has a fireplace and flat screen TV with large French doors allowing an ocean view and comfortable seating. A dining area with a large expandable table provides seating for 16 people. 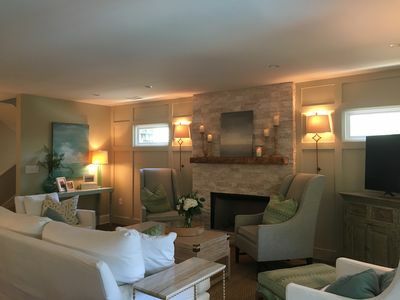 This level has a large master bedroom with a fireplace and a small sitting area. There is also a trundle bed with two full twin mattresses in this room. The bathroom has double sinks, a large shower and a large jetted tub. 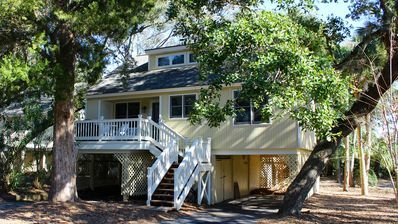 A third king master is located on this level with an ocean view and an attached bathroom with a shower. All linens are provided. We even provide beach towels! 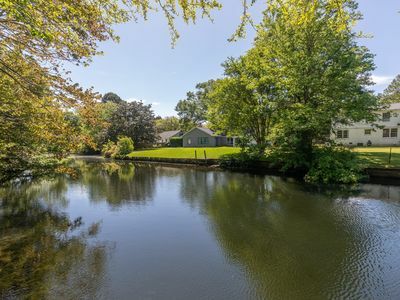 This house is privately owned and managed. We use the house ourselves and therefore take great care to keep it in good condition and well appointed. 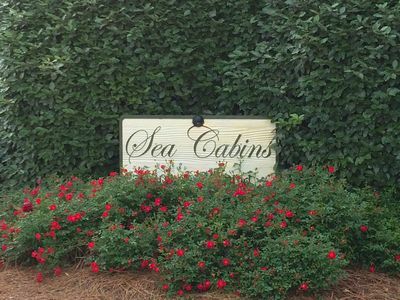 We hope you enjoy your time in our home and that you will tell your friends and family about us. End of Summer Specials! 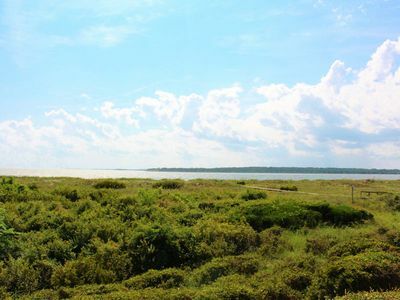 Early Fall Discounts, 3-night minimums, and more! BOOK NOW or CALL for details! 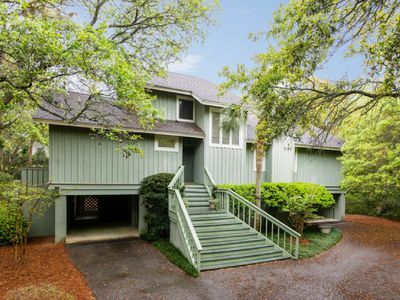 Brand New Renovation !One Block From Beach/Private Pool, 4 BR, 4 1/2 baths! 6 Bdm 6+ Bath Private Pool, Spa, Ocean Views, Newly Renovated! 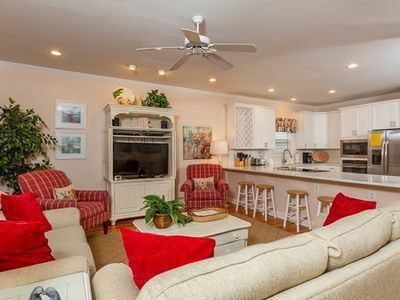 Perfect family home in Wild Dunes- Community Pool, and Minutes to the Beach! 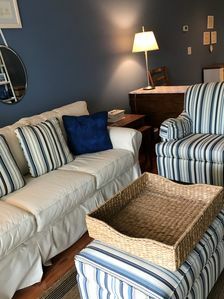 Beachy Cottage! 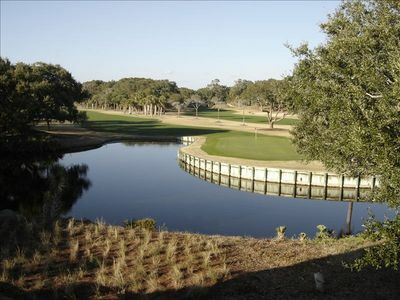 Short Ride to Beaches, Pools, Dining, Golf! Pet Friendly! 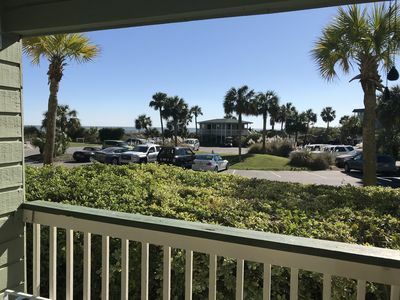 Shipwatch 222D/ 2 BR Oceanfront condo w/ Wild Dunes Amenities!